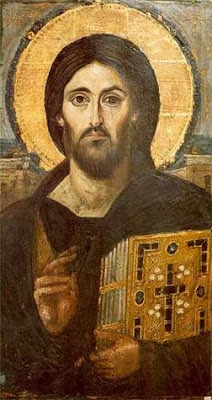 This is an early type of the Christ Pantocrator. Wearing a tunic (chiton) and a draped outer garment (himation), Christ makes the sign of blessing with the right hand and holds in the left a very thick Gospel - book with a cover adorned with jewels and precious stones. The eyes are not alike in size and shape, the mouth is asymmetrical with a melancholy expression, the rather short beard has an inward curve and the hair falls back over the left shoulder. At one time the icon was dated to the 13th century. However, its cleaning and conservation in 1962 revealed the original encaustic layer, thus pointing to a much earlier date in the 6th or 7th century (85x45 m). 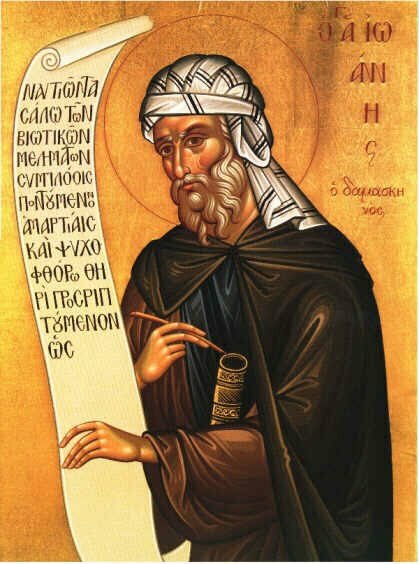 On the contrary, the Word of God, in condescension for us and, in regard to His proper desert, in humiliation while among men, is said to pass from this world unto the Father so that we also may behold Him perfectly there in reversion to His proper fullness from the emptiness among us whereby He emptied himself — where we also, enjoying His guidance, shall be filled and freed from all emptiness. To such an end the Word of God well may leave the world and depart to Him that sent Him, and go to the Father!